Using Mals coupons requires setup on Mals site. The coupon discount is applied at checkout. Login to your Mals account. 1. Enable coupons for the shopping cart. 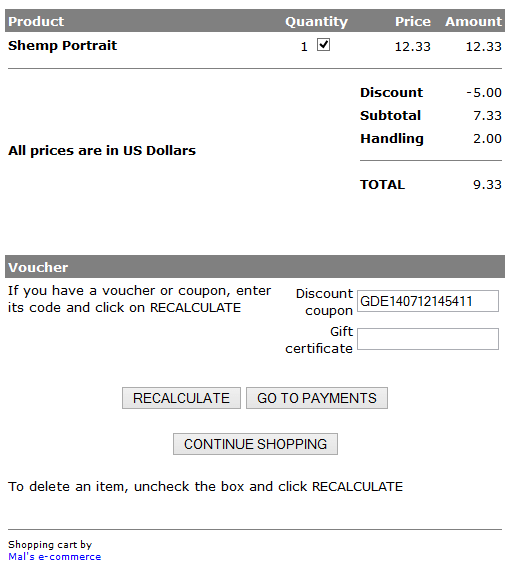 This will show the discount coupon entry box when the customer checks out. 1. Enter in coupon information then click 'Add coupon'. The coupon will be generated along with a coupon code. 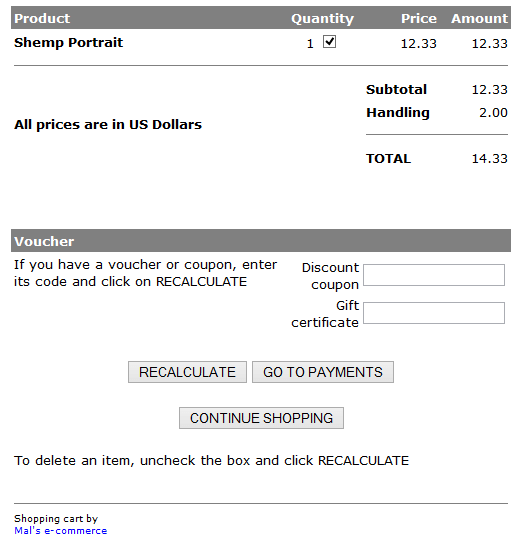 The coupon code is what a customer enters in the Discount coupon field upon checkout. The customer enters the discount coupon code upon checkout and clicks recalculate button. The discount will be displayed. The discount coupon code will show up under Voucher# when viewing the order in storeadmin. The discount rate will appear in the Discount: field. It will also show up when viewing the order details on Mals site. If the coupon is used only once, Used will appear when listing the coupons on Mals site.